Dr. Silverman is a founding partner in the consulting firm of TRPP Associates. She is an educator and independent scholar with degrees in learning disabilities and educational psychology. She is the founder and former director of the Learning Assistance Center at Loyola University Chicago where she developed LEAP, an award winning student access and retention program and a learning center at the Stritch School of Medicine. Dr. Silverman served on the Board of St. Augustine College in Chicago, the first bilingual institution of higher education in Illinois. 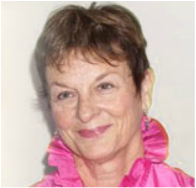 She is currently a Trustee of Spertus Institute for Jewish Learning and Leadership. At Columbia College Chicago, Silverman helped develop The Learning Studio, an academic support center for students. At Harry S Truman College in Chicago, she worked with faculty and staff to develop a robust tutoring and tutor training program. Dr. Silverman also helped The Adler School of Psychology develop a Center for Learning and Teaching. She continues to be a mentor/reviewer for the Higher Learning Commission. She is a member of the Board of Trustees for Spertus Institute for Jewish Learning and Leadership in Chicago. Internationally, Dr. Silverman was a Fulbright Scholar in South Africa and subsequently received a Fulbright Alumni Initiatives Award for a project, "Sharing Cultures" connecting students and teachers in a virtual learning community at Nelson Mandela Metropolitan University and Columbia College Chicago. Other awards include a Rotary University Scholar Grant to continue her work in South Africa and a Fulbright Senior Specialist Award at Suleyman Demeril University in Kazakhstan. She was an invited keynote speaker at the International Symposium on the Contributions of Psychology to Peace Research in Cyprus and an invited scholar at Kazakhstan-British Technical University in Almaty, Kazakhstan. Dr. Silverman along with Dr. Martha Casazza co-authored the following publications: Learning Assistance and Developmental Education (Jossey-Bass, 1996) and Learning and Development: Making Connections to Enhance Teaching (Jossey-Bass, 1999), and Partners for Innovation in Teaching and Learning (iUniverse, 2005) and Student Voices: We Believe in You (iUniverse, 2017). founded the Learning Assistance Center at Loyola University Chicago.